Gasoline and diesel prices go up and down. That's just the way the fuel market works! But what never goes away is the need for price transparency. Because prices change so often, you need to make sure you're clear on the price you are paying for bulk gas and diesel. Here's a video spelling out just what we mean by that - in plain dollars and cents - and why using a published benchmark, like OPIS, can really help you thwart a budgetary snafu. Disclaimer: OK, yes, we do have a certain OPIS-centric point of view here at OPIS, but the lesson on price transparency is important no matter whose prices you reference! Enjoy! You buy 8,000 gal of ULSD from them, unaware that a PRA (like OPIS) reported the average ULSD price at your rack at $2.07/gal. 3cts/gal X 8,000 gal = $240 you could have saved if you bought via a published benchmark. You buy that load twice a week X 52 weeks. If you keep things as they are, you’ll waste some $25,000 this year. Or, for you visual learners, here's an image that breaks it all down. So, as you can see, a wholesale rack report is an incredibly useful pricing tool. It can help you make sure you are being charged accurately and avoid wasting money unnecessarily. It can also help you know where and when to get the best deal on wholesale gasoline and diesel and assist you in saving money through writing savvier supply contracts. If you are new to reading a report like this and don't understand what it's telling you, though, this data will do you little good. So, make sure you check out this step-by-step guide on how to read a wholesale rack report. There are some great tips in there. And if the world of rack pricing is completely new to you -- but this fabulous blog post has piqued your interest -- check out this 101 post on the wholesale fuel market and how it works. Lastly, you can learn much more about how to use published fuel benchmarks (and a whole lot more!) when you join us May 2-3 in Austin, Texas, for Winning Fuel Buying Strategies. 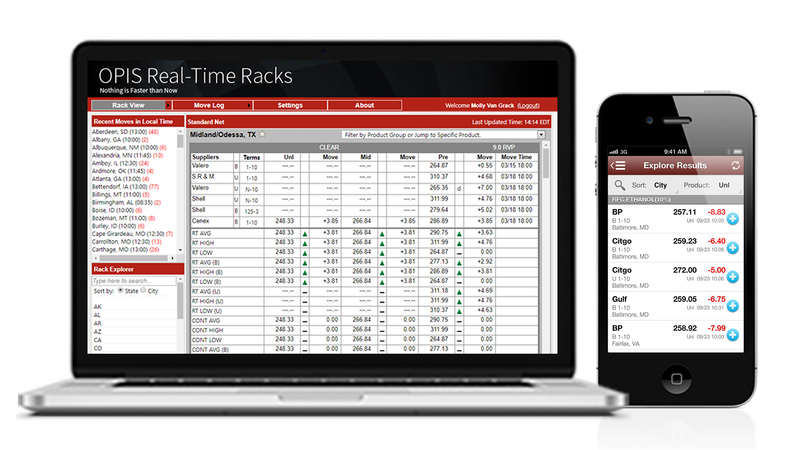 OPIS gasoline and diesel racks help ensure fair and accurate wholesale fuel supply deals and transactions.